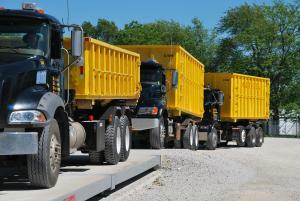 In 1999 Merkel Roll-Off Container Service was formed to better serve the growing needs of our customers. Providing customers with temporary or permanent roll-off containers so that our customers may stay on top of the scrap metal generated on daily, weekly, and monthly bases while offering a safe and clean work place for the employees. 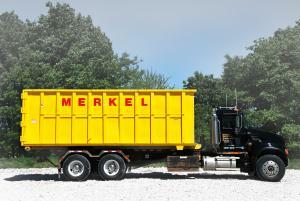 Merkel Roll-Off Container Service is a highly respected leader in the solid waste industrial throughout northeast Missouri, west-central Illinois, and southeast Iowa. We bring honesty, integrity, and the utmost commitment to our customers. Merkels management team is committed to our customer’s satisfaction, while delivering a high level of service with confidence and professionalism. 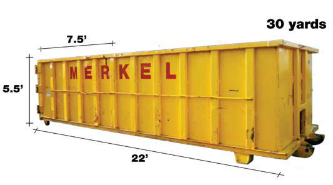 For long term relations, Merkels provides a variety of containers: 10 yd., 20 yd., 30 yd. and 40 yd. 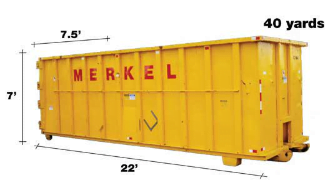 Our roll-off containers can be used for use of construction debris, demolition debris, roofing debris, general garbage, home clean out’s, and all types of scrap metals for recycling. 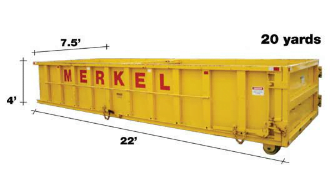 Merkel Recycling and Roll-Off Containers' qualified team leaders work with contractors and construction companies to provide unique and integrated solid waste management and environmental solutions for construction projects of all sizes, including LEED projects. 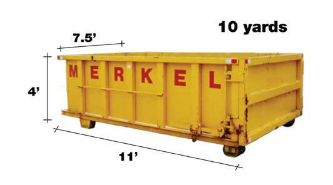 Merkel Roll-Off Container Service has the experience and resources for the proper disposal or recycling of all solid waste removal for industrial and commercial customers. Our mission is to meet all expectation of our customers with competitive rates, prompt courteous service, clean safe equipment, and highly trained employees with safe work ethics.